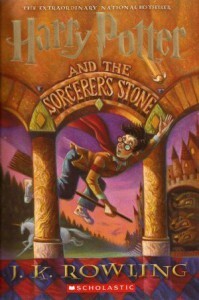 If you are a fan of Harry Potter and have never listened to one of the audiobooks read by Jim Dale, check one out if you can. Rowling's writing makes for easy listening. And Jim Dale is a brilliant reader. Books one through four were bedtime listening when I was a kid. This proved to be dangerous when I tried to listen to them while driving as an adult (I got veeerrry sleeeepy).